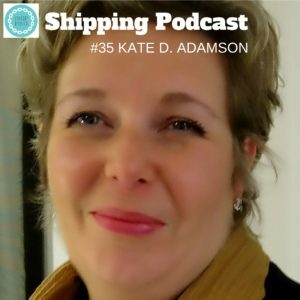 Kate D Adamson is a Blue Futurist and thought-leader in the maritime space, she the founder of Futurenautics, an author, novelist, conference chair and keynote speaker. Alongside her work as keynote speaker, Kate is an accomplished and frequently requested conference MC, roundtable anchor, and has presented both for TV and Radio. – Future of transport and logistics, drones, autonomous vehicles, impacts on business and consumers. – Manufacturing 3.0/Industry 4.0, 3-D & 4-D Printing, nearshoring/next shoring, changing trade flows and consumer demand. Thank you listening to the 35th episode of the Shipping Podcast! This is one of my most favorite episodes! As a professor at Maine Maritime Academy in the Marine Transportation Department, I can’t wait for another spring semester when I will get to teach electronic navigation again so that I can assign listening to this episode.